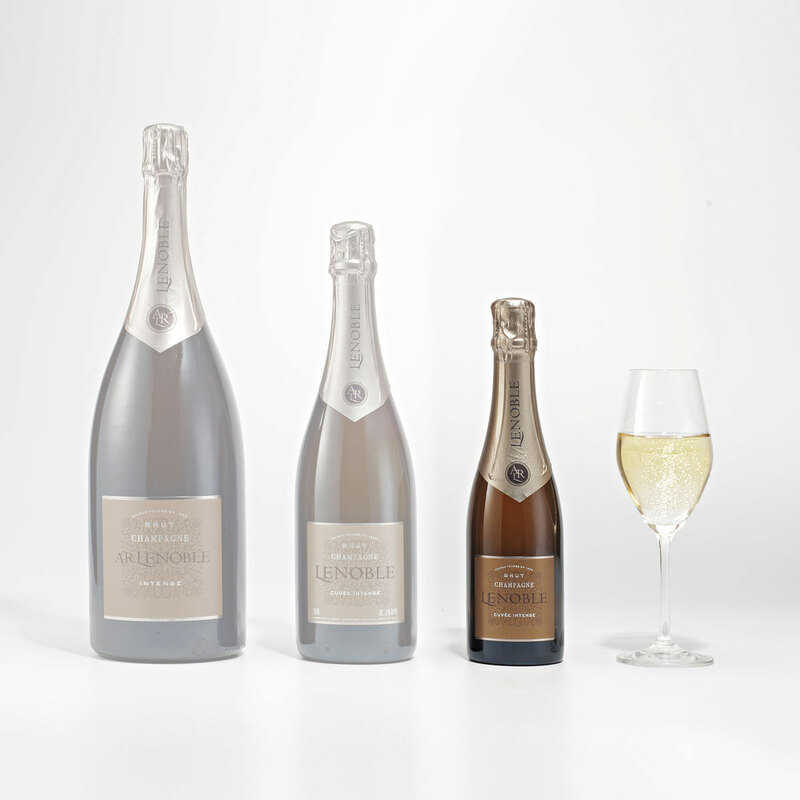 Celebrate life's special moments with this luxurious gift hamper featuring Godiva chocolates and Lenoble French Champagne. 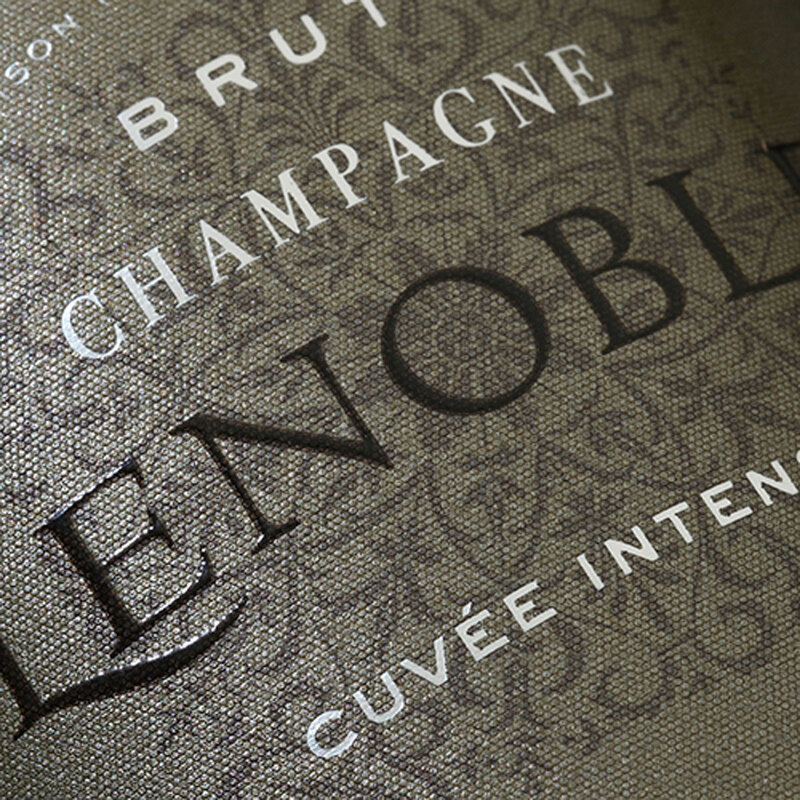 Raise a toast with a glass of Lenoble Brut Champagne, a harmonious blend of Chardonnay, Pinot Noir, and Pinot Meunier grapes with fine bubbles. The 37.5cl bottle is the perfect size for a couple to share. 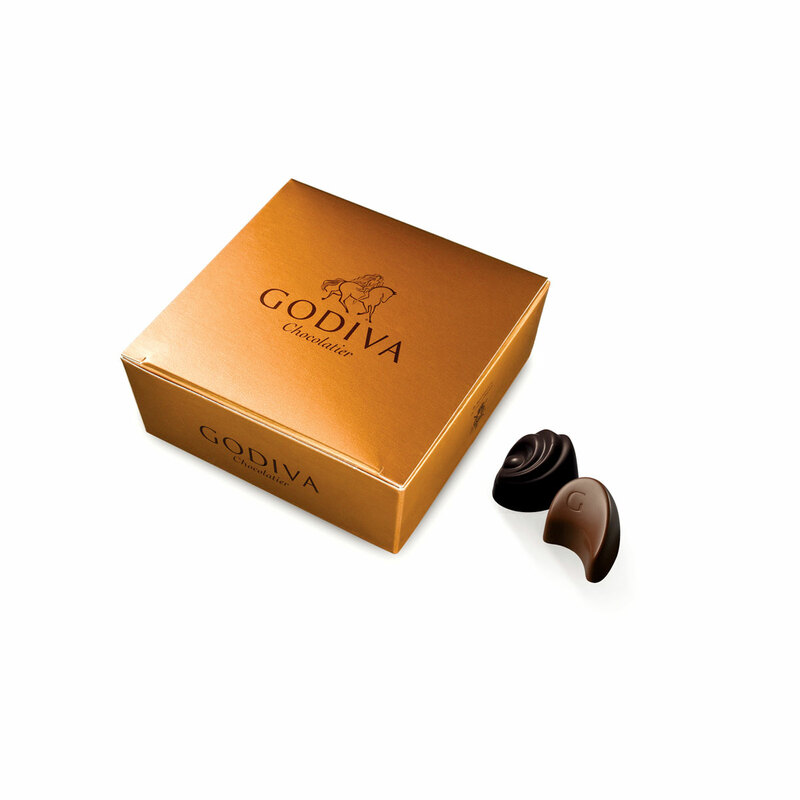 Fine Godiva chocolate is the ideal accompaniment to the Champagne. 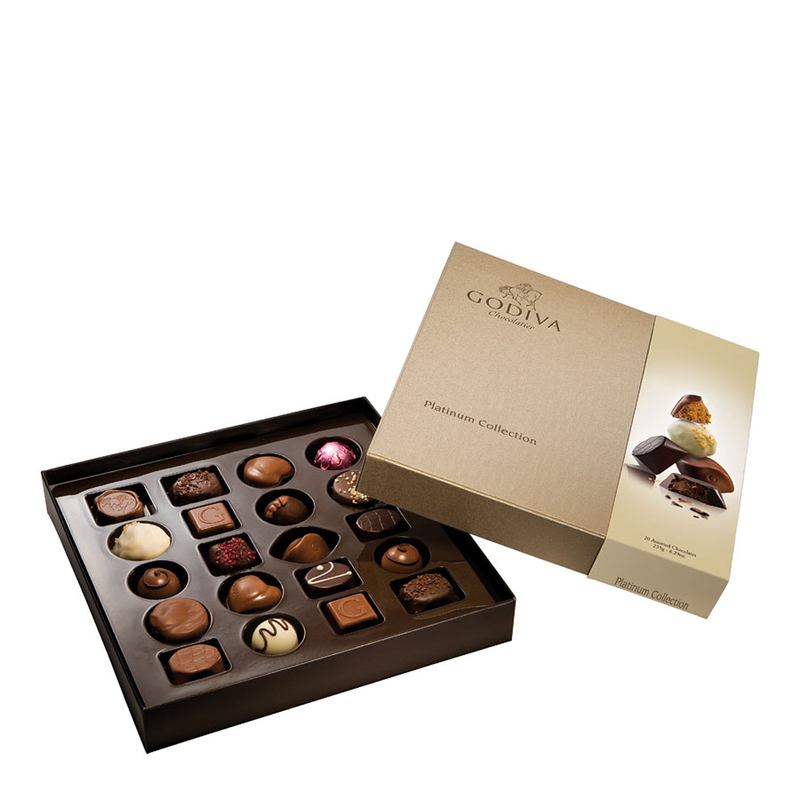 The iconic Godiva Gold Box offers a tempting assortment of signature pralines, ganaches, and caramels in a wide range of fillings. 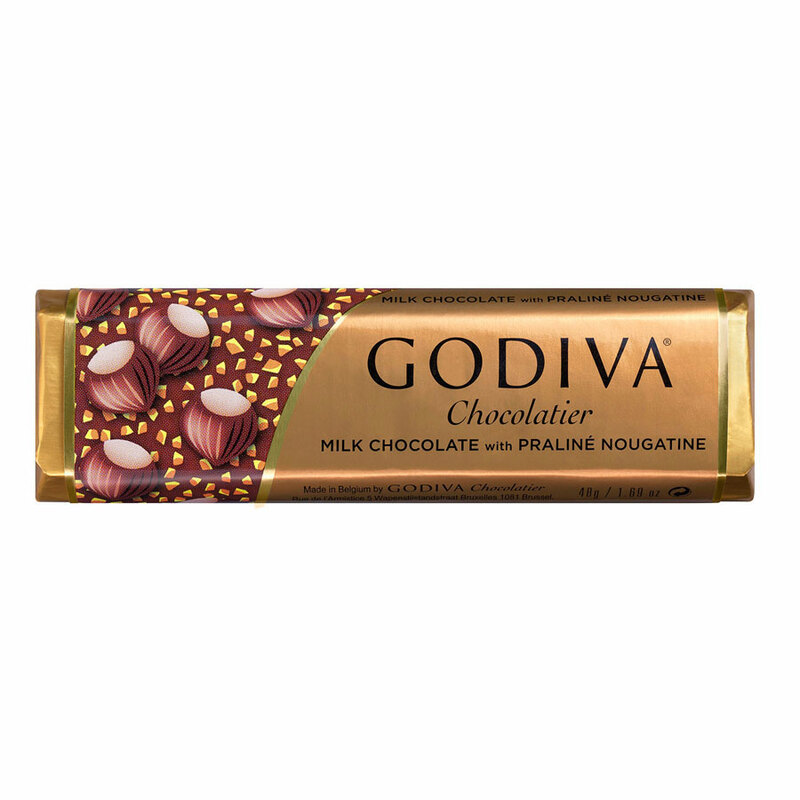 Chocolate connoisseurs will savor Godiva's Création Pralinés: a magnificent collection of stylish limited-edition pralines in exceptional flavors. 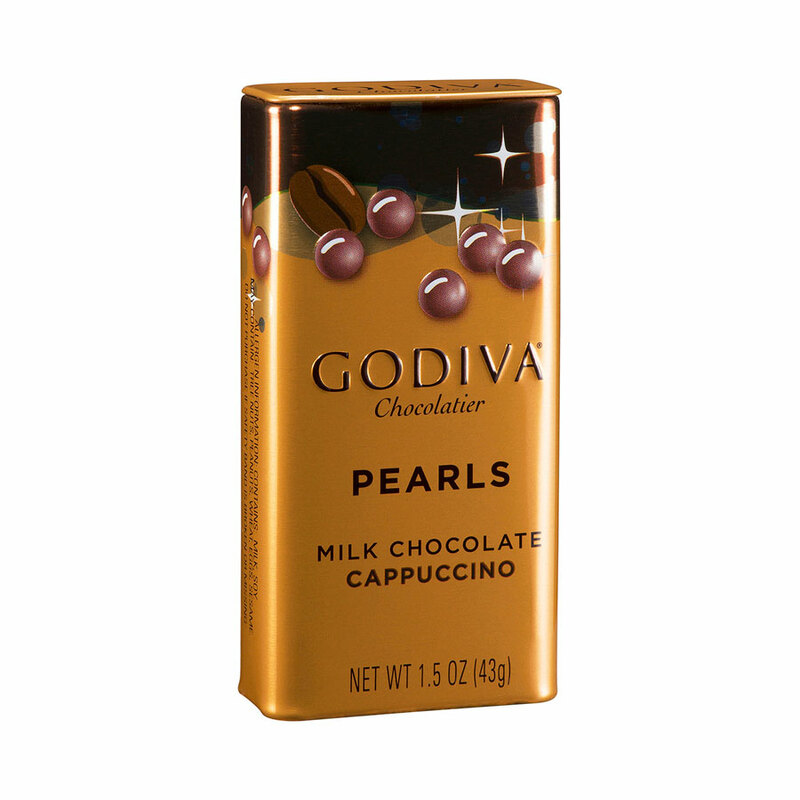 This tasteful gift basket is completed by chocolate bars in Dark Chocolate and Milk Chocolate & Praliné Nougatine, and delicious Milk Cappuccino Pearls. 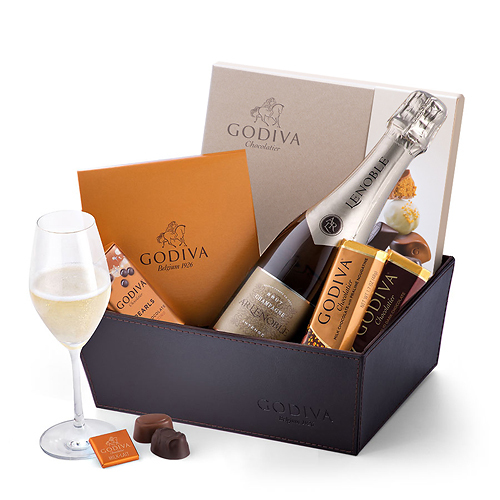 Hand packed in a signature Godiva leather gift hamper, this Champagne and chocolate gift basket is a stylish way to send best wishes for any important occasion. 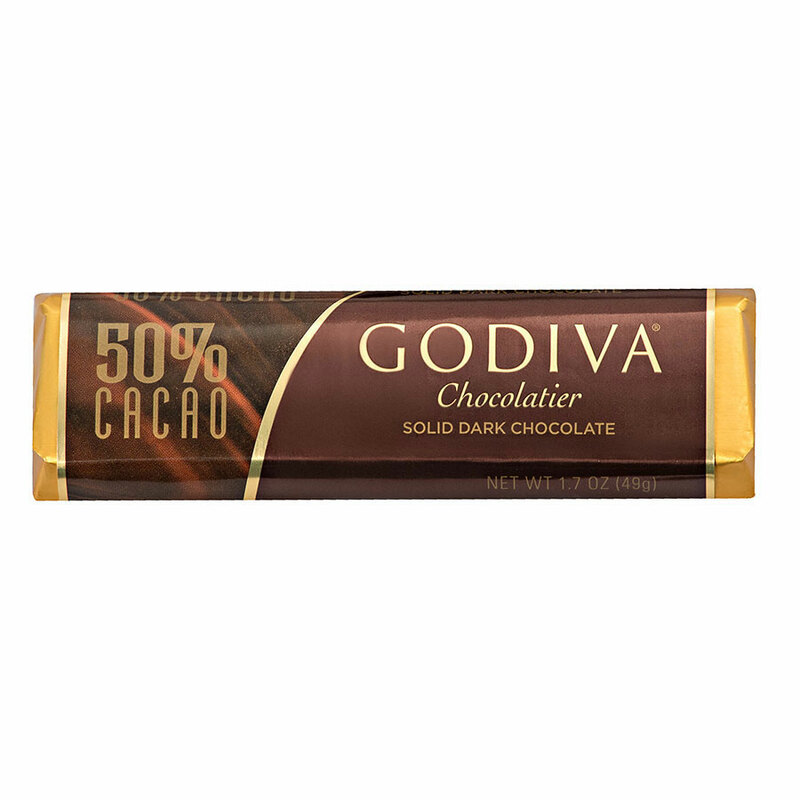 Ingredients: Sugar, cocoa mass, full cream powder, cocoa butter, hazelnut, vegetable oil (palm kernel, palm, rapeseed, sunflower), glucose syrup, almonds, butter, cherry, cream, butter oil, sweetened condensed milk, invert sugar syrup, skimmed milk powder, milk, humectant (sorbitol), wheat flour, emulsifier (soy lecithin), hydrogenated vegetable oil (palm kernel), flavourings, alcohol, kirsch, raspberry, coffee, honey, spirit poire williams, fine champagne cognac, maltodextrin, salt, fat reduced cocoa powder, whey powder, lemon peel, cinnamon, natural vanilla. Nutrition Declaration per 100g: Energy 2182 kJ/522 kcal - total fat 32 g - saturates 18 g - carbohydrate 50 g - sugars 47 g - protein 6,3 g - salt 0,14 g.